Is there actually reason to be excited about the upcoming Israeli-Palestinian peace talks? 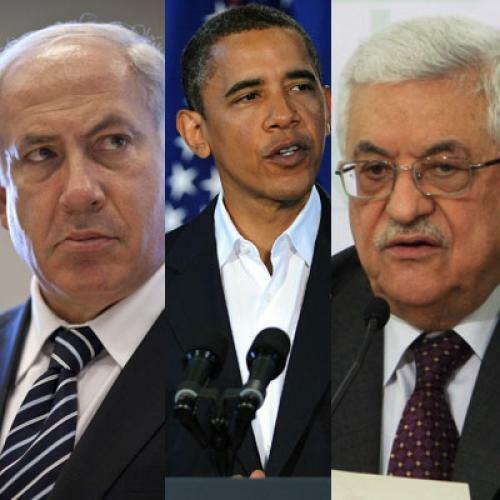 President Barack Obama, Israeli Prime Minister Benjamin Netanyahu, and Palestinian President Mahmoud Abbas are reportedly planning to meet next month on the sidelines of a UN conference in New York. An international Arab-Israeli peace summit might follow, which Israeli diplomats have already nicknamed “Obamapolis” after the most recent failed attempt to re-launch negotiations, the Annapolis Summit. The disappointment and skepticism felt by most observers is not unreasonable; in what has become almost an annual ritual, peace talks are “relaunched” with much fanfare and enthusiasm, only to yield little in the way of substantive progress. On the most basic level, this September meeting is indeed an “important step” for the peace process. If there’s no talking, there can be no progress. And even though real progress toward the coveted “final status agreement” seems unlikely--both American and Israeli officials understand that differences in position between the two sides are probably too wide to bridge at this point in time--talks can still be valuable, at least for reducing tensions and avoiding misunderstandings. But perhaps more importantly, the agreement of all sides to meet signals an end to the antagonism and bluster that have characterized U.S.-Israel relations since the beginning of Obama’s term. Netanyahu has essentially agreed to some form of a of settlement freeze. Obama’s peace envoy, George Mitchell, has accepted the de-facto reality under which Jerusalem can’t be part of any freeze agreement. (The Americans seem satisfied with these quiet “understandings” regarding Jerusalem.) And Abbas has accepted the invitation to New York, even though he insisted just days ago that no negotiations would take place until there was “a halt to all forms of settlement activity without exception in Jerusalem and the rest of the occupied territories." On Wednesday, his spokespeople tried to justify the New York “meeting” as somehow different from “negotiations,” insisting that there had been no change of heart on the part of the Palestinian leader. Netanyahu, though, was quick to seize the moment and commend Abbas on this move, saying, “I have said that we must convene and sit down without any preconditions. This is the simplest and most convenient thing for resuming the process.” No one is actually worried that, when the time comes and Abbas is called for talks, he will actually refuse to attend. And while Abbas will be talking, his second in command will be doing the more important work. Earlier this week, Palestinian Prime Minister Salam Fayyad announced his intention to “establish a de facto state apparatus within the next two years.” On the face of it, his plan sounds quite detached from reality, eliciting guffaws from Israeli politicians such as Finance Minister Yuval Steinitz, who said that "[t]here is no place for unilateral actions.” The plan ignores “a central component of the framework in which Fayyad himself is permitted to function, and from which he derives his own authority,” warned Alan Baker, a former legal adviser to Israel’s foreign ministry. However, other Israeli officials with whom I spoke were less apprehensive about Fayyad’s announcement. His general approach, they said, should be supported, as Fayyad is the one Palestinian leader who understands that Palestinian efforts are necessary before the establishment of a viable Palestinian state. That approach has been key in making Fayyad the darling of American officials in recent years, focusing on building infrastructure and governance rather than on resistance and intransigence. It also makes him the most valuable partner in Lieutenant General Keith Dayton’s efforts to help the Palestinian Authority establish a reliable security force. Dayton’s process shows many signs of success, but it is also a momentum-based scheme. Reform of Palestinian forces and other institutions will only continue if they are building toward something--real improvement in Palestinian lives, and, ideally, from a Palestinian point of view, the establishment of a state. Hence, Fayyad felt it was necessary to lay out the goal toward which he’s working. He has always downplayed (though not publicly) the importance of symbolic battles against “settlements” and “occupation,” understanding that these are more likely to be resolved with the establishment of credible Palestinian governance. Thus, despite the cynicism and low expectations greeting the announcement of new peace talks, this week’s news seems to signify a positive development: that the moment of unrealistic dreams--a total freeze, final agreements, and prompt establishment of a Palestinian state--has passed. Based on the details of the understanding reached by Netanyahu and Mitchell, it seems that we’re finally returning to the better approach of gradual progress, rather than attempting to achieve too much in one decisive stroke. And if that is the outcome of many months of U.S.-Israeli bickering and tension--the outcome of a period in which all parties have learned the limitations and tested the red lines of the others--it was worth it. Shmuel Rosner, a columnist and editor based in Tel Aviv, blogs daily at Rosner’s Domain.